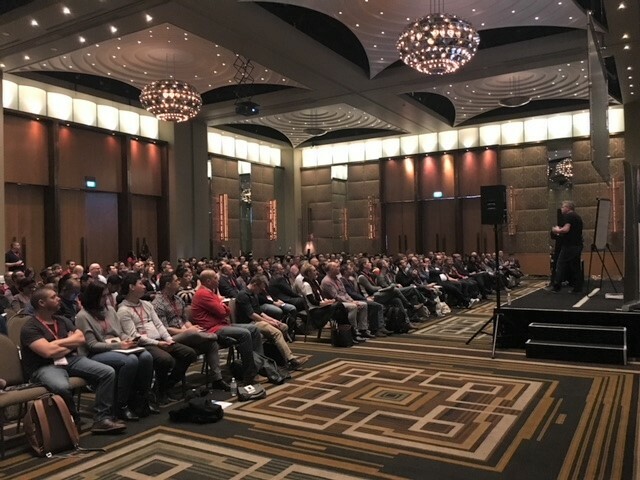 The Agile Australia 2018 conference has grown to become the premier event in the local Agile community, and PM-Partners were proud to be amongst the sponsors for this year’s 10th anniversary. 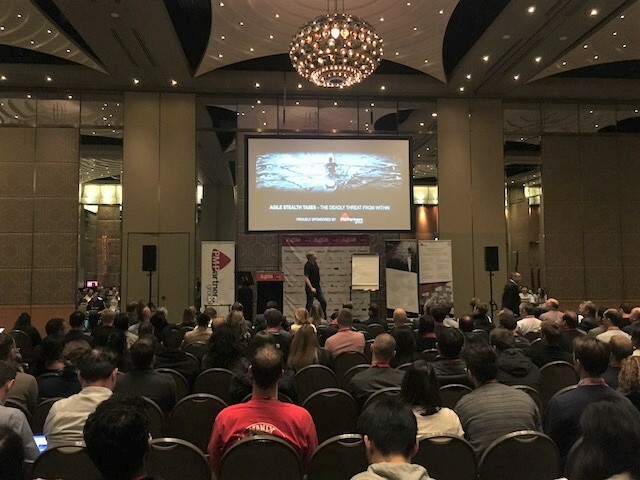 The salubrious surrounds of Melbourne’s Crown Palladium attracted 1200 of Australia’s agile thought leaders and practitioners to learn and share stories with a stellar line-up of local and international speakers. The calibre of the speakers this year was impressive, including agile luminaries such as Steve Denning, Jeff Smith and Martin Fowler as well as Australian business leaders including ANZ CEO Shayne Elliott and representatives from Atlassian, CBA, REA and others – demonstration, if it was still needed, that Agile is now very much accepted as part of the mainstream across large and small businesses. This year it was clear that Agile is maturing. As more organisations adopt Agile practices and principles, we are starting to see more conversations at more senior levels about agile – not just as a framework or set of practices, but agility as a mindset and as a new management paradigm that has impact across the enterprise. Agile is improving project outcomes and the way people work. One of the boldest expressions of this is shown in ANZ and the path that they are undertaking. The fact that senior executives have wholeheartedly embraced the agile mindset is a strong success accelerant. We heard stories of agile successes, tips, tricks and hacks of what really works in Agile, and how situational awareness and appropriate adaptations of agile practices is essential. We are seeing techniques and approaches such as DevOps hit the mainstream, with many thought leaders now considering it a vital component of any agile enterprise and no longer a “nice to have”. Another clear theme that dominated throughout the conference this year is the humanity of the agile movement. There is a growing recognition that what an agile mindset engenders is a clear and deliberate move away from the heavily governed, overly bureaucratic, traditional ‘stealth taxes’ that sap creativity, innovation and collaboration. The shift is to a more human, natural way of organising teams and individuals. Agile is not about tools, processes and technology – it is about people. This tangible shift was reflected in presentations and discussions, both formally and informally about diversity and narratives. It was acknowledged time and time again that diversity in teams – diversity in thinking, backgrounds, gender, heritage – all strengthened teams and led to better outcomes. Aubrey Blanche discussed intersectionality and changing recruitment practices, Jirra Lula Harvey spoke about embracing indigenous teachings and knowledge, Margarette Purvis took us on a journey to the New York Food Bank to help us better empathise with those less fortunate than us, and journalist Stan Grant helped to bring it all together and understand how we as a nation need to build a shared narrative and embrace diversity to thrive in an ever-changing world. It’s clear that these human stories are what the agile mindset represents – individuals and interactions, collaboration and responding to change. Agile is a more natural way to tap into our humanity, and when we embrace this then we become superheroes, and begin to truly understand the real value of tightly working together for better outcomes. If your company requires assistance on your agile journey, call us today on 1300 70 13 14.